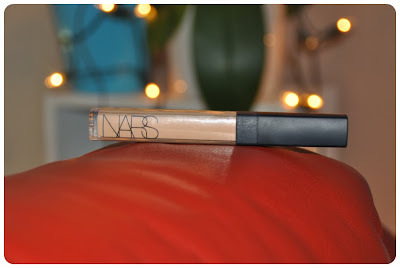 I've been using the Nars Creamy Concealer for quite a few months now, and am on my second one. I have to say this is the first concealer that I have been completely happy with, and I've tried quite a few. After using the Sheer Glow for so long now I guess it was a natural progression to go on this concealer. My colour is Ginger. It has a lovely golden undertone and blends so well into my skin and with my Sheer Glow in Barcelona (as seen in the picture underneath). ->Packaging: It comes in a tube, with a wand like applicator, which for some people might be a hygiene hazard so they can't share it with people, me however, I really don't care. 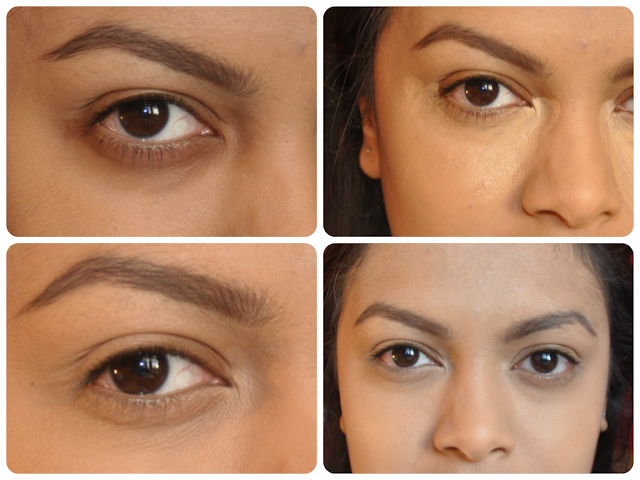 So for me I like the applicator as it makes application easy for me. The packaging is also simple, and of good quality. ->The fact that it is a liquid consistency means that it will never dry! No matter how cold it gets (this has been a problem with potted concealers such as the MAC Studio Finish and the Illamasqua Concealer). -> Coverage: I find that it covers well. It covers my eyebags and my blemishes.I would probably want some more coverage, but then that look would be too artificial for me. So on the fence about how much coverage it is I want. So a bit iffy for me. It is not by far a low coverage concealer though. -> Longevity: Something like this is totally based on the person wearing it. What environment they are in, their skin type, if they are actually touching their face hence moving the product. Powering would totally help keep it in place. I've been an entire day and my under-eyes still look amazing. I have only really had to touch up if I wanna look refreshed after about 6-8 hours. -> Price: At £21, it is a pinch, but one that I don't mind paying for as I haven't gotten results like this in drugstore products, and base makeup is not something I believe you should compromise with. BUT! Big but. ASOS stocks Nars makeup, and for those students, or those who know students, they can enjoy a lovely 10% discount off, and they also do random discounts here and there for everyone. -> Wearing with glasses: Now this affects longevity. I've found that wearing glasses totally affects my makeup, regardless how much I powered, and this includes this concealer. 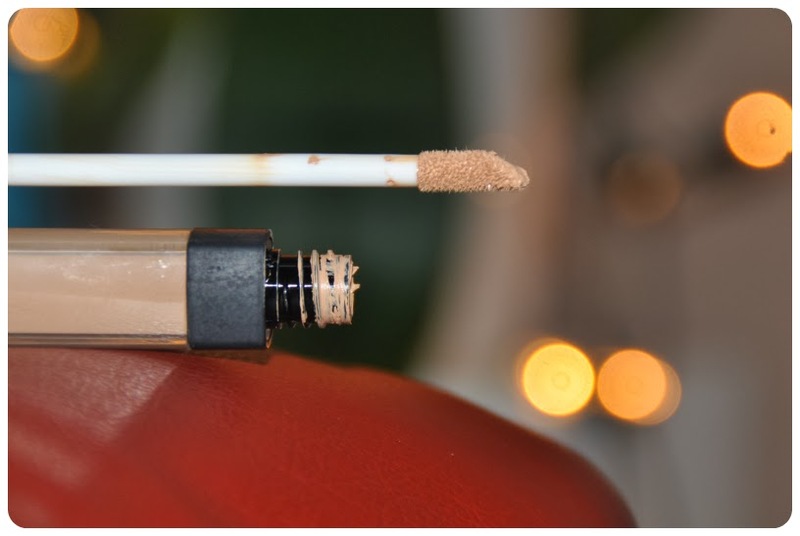 So my nose likes to sweat more when I have glasses AND makeup on, so sometimes I blot the concealer before putting my glasses on so that where my glasses touch my face isn't affecting much by the product moving. Of course the best thing to do it carry blotting sheets (or a tissue) and the concealer around in your bag for a quick touch up if need be. -> Creasing: It can sometimes crease, but its not too bad, and just a simple pat of my fingers sorts it out. Ignore the dodgy eyebrow. I need a trip to my salon. 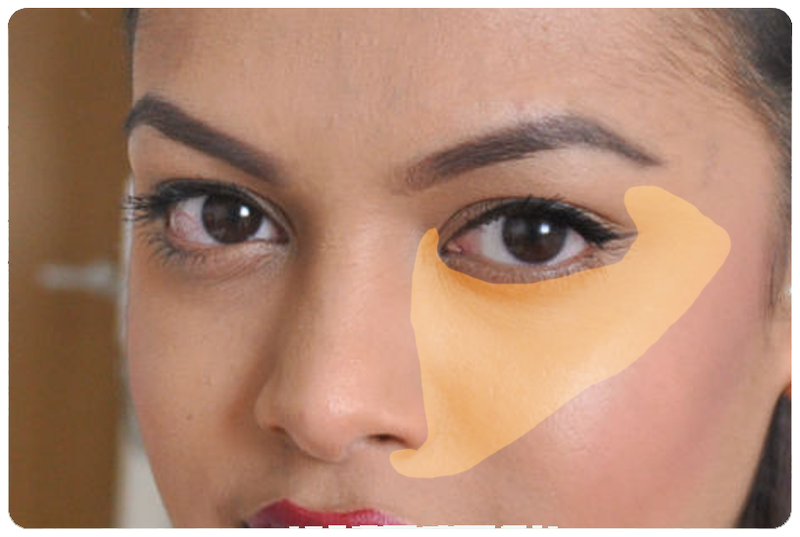 I apply the concealer in a triangular shape as I find it illuminates my face and blends the colour rather than masking the darkness and highlighting it. In my overall opinion, I love this concealer, and have gotten a few family members to start using it. I would buy it again (as I already have), but then again I would probably also go to selfridges to try new ones just for the sake of it. Hope this has helped you guys! I have heard so much about this concealer but always forget and buy something else...this time im definitely getting it! Im new to ur blog...love it! Following u now! If you are looking for a reputable contextual advertising network, I suggest that you take a peek at ExoClick.